Appointment reminders are a tool businesses such as medical offices, spas, and wellness practitioners use to notify customers of upcoming services and reduce no-shows. There are many software programs available for businesses that automate this process. We looked at dozens of appointment reminder software programs evaluating prices and features to arrive at the best overall. Square Appointments (Overall Best) Affordable appointment reminder software with built-in point-of-sale integration. Appointment Reminder Small businesses that want customized reminder templates. ReminderCall.com Businesses that want to send phone call reminders. 10to8 Businesses that need to coordinate appointments with multiple providers, locations, and rooms. MINDBODY Holistic health and wellness businesses that want appointment reminder software with integrated online booking. Stericycle Communications Medical practices that also want an answering service. In addition to reminding clients, customers, or patients of upcoming appointments, appointment software helps businesses save time and money. For example, by reminding customers of appointments ahead of time and confirming details, medical providers, spas, and salons can cut down on missed appointments and therefore missed revenue. We examined appointment reminder software that offered clear communication over multiple channels at an affordable rate. Price – We looked at how much each software costs, including monthly fees and any per-reminder fees. Confirmation Methods – We looked at what type of reminders each software can provide, including text, email, and phone call. Reminder Response Options – We looked at whether or not customers are able to respond to their confirmation message to confirm or reschedule the appointment. Analytics and Reporting – We looked at whether or not the reminder software provides insights into if the reminder message was delivered or opened. Integrations – We considered software programs that can integrate with other business management solutions like point-of-sale systems and CRM systems. Ease of Use – We looked at the software setup and how easy the software is to navigate for businesses and customers. After evaluating dozens of appointment reminder software programs by price and features, including types of reminders available and compatible integrations, we arrived at our top choice: Square Appointments. Square Appointments is our overall top choice for small businesses because it is free to use and works with our top choice for retail point-of-sale systems: Square POS. Square Appointments is an appointment reminder software that operates within Square’s larger point-of-sale system. Square Appointments offers text and email reminders with free scheduling tools and calendar integrations, and can help you track customer data. Square Appointments is, therefore, our top choice because it is free for sole proprietors and works seamlessly with Square POS. Square Appointments is free for businesses with one service provider. For businesses with two to five employees, Square Appointments is $50, which is an average price. Square is $90 for businesses with six to ten employees, which is on the pricier end. Square is billed on a monthly basis so businesses can cancel anytime. The entire Square platform is popular among small business owners because it is easy to use and most of the basic features are available for free, whereas most other software providers charge a monthly fee. 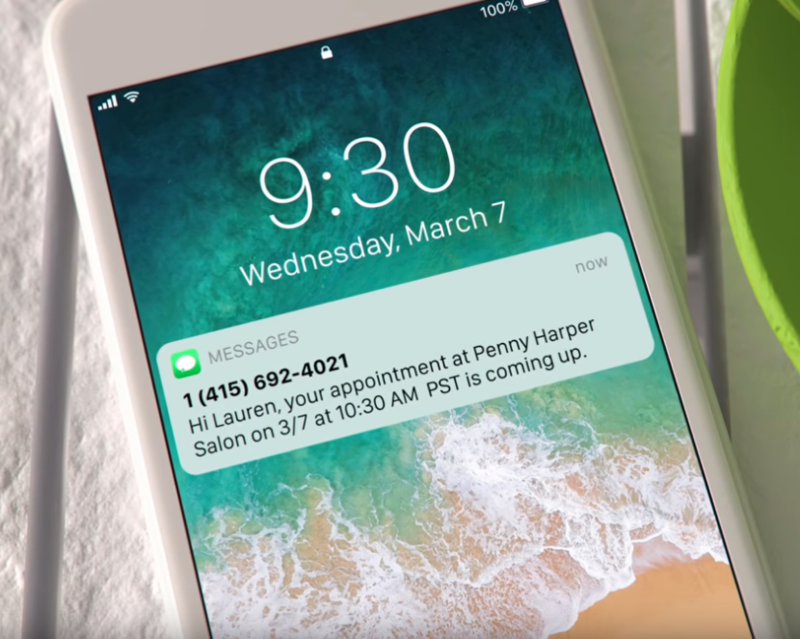 Square Appointments offers basic text and email reminders and a customer-facing feature to reschedule appointments starting at $0/month. 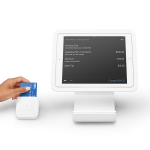 Square is extremely easy to use for employees and customers. Appointment reminders are automatic, which is standard across all of our top appointment reminder software programs. Square tracks and stores customer data in their free directory feature, which is unique. From a customer’s perspective, Square lets customers book, confirm, and reschedule appointments, all through the app. Square sends text and email reminders, but not phone calls or voicemails. ReminderCall.com is the only non-industry-specific provider to offer text, email, and phone calls. Square includes appointment details like the service provider’s name in the confirmation message. Businesses and their customers can also access their appointments, purchase history, and tipping options directly through their account on the Square app. Customers can respond through the app to change or cancel appointments, instead of having to call the business themselves. Most of our chosen appointment reminder software systems offer some type of two-way communication or the ability for customers to reschedule their own appointments. Square Appointments has a unique, built-in appointment booking and calendar feature. Since Square Appointments is connected directly with Square POS, our recommended best POS system for retail, businesses can require customers to enter a credit card number when booking so that Square can automatically charge cancellation and no-show fees. Square also has in-house CRM, loyalty, ecommerce, and marketing solutions. Square Appointments does not offer phone call reminders. They also do not offer customization options like multiple reminder templates or the ability to change the app’s appearance to fit your business brand. If you are looking for these options, Appointment Reminder or ReminderCall.com might be a better fit. Square Appointments is also very expensive for larger businesses, starting at $90/month for over five employees. Overall, reviews for Square Appointments are very positive. Some reviewers wish there were more customization options, and think that the price is a little high for larger businesses. Visit our full Square Appointments Review Page to see more feedback. Square Appointments is part of the larger Square POS system, which is also free to use. By using Square Appointments, businesses can integrate their point-of-sale, CRM, loyalty, and ecommerce, all under one integrated software system, providing transparency and consistency for businesses and their customers. Square Appointments is free for individuals and offers a free 30-day trial for businesses. Visit the Square website to get started. Appointment Reminder is an automated appointment reminder software that has custom reminder templates with text and email reminders with options for customers to confirm appointments or complete questionnaires. Appointment Reminder is the best option for businesses looking for custom reminder templates because it includes unlimited built-in options at a competitive price. Appointment Reminder starts at $19/month for 100 reminders and has tiered pricing for businesses that need additional reminders, but can get pricey for businesses that need a lot of reminders. All levels have the same features including unlimited users and unlimited calendars, as well as text and email reminders. Appointment Reminder includes text and email reminders. The text reminders help ensure customers don’t forget appointments, and the custom emails are perfect for providing extra details like parking information or the cancellation policy. Appointment Reminder is a great solution for businesses that want complete control over what the reminders say and when they are sent out. Appointment Reminder is very easy to set up. The software is designed for plug-n-play use for busy offices. The servers connect with your existing appointment booking software so appointments and customer information sync automatically. Businesses can control what types of reminders are sent, when they are sent, and what they say, which is an uncommon feature for the price. 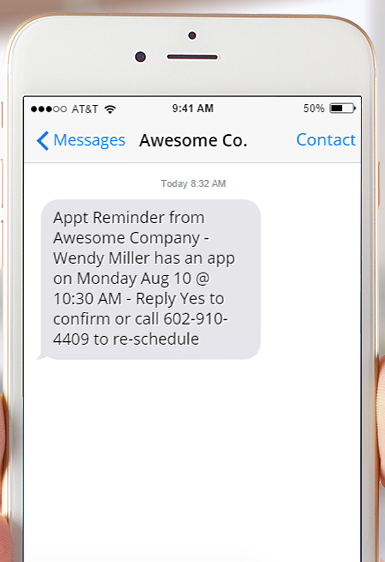 Customers can confirm appointments by replying to texts or emails. Appointment Reminder offers text and email reminders, but not phone calls, which is a feature offered by ReminderCall.com. However, their website says the text message reminders deliver a 90 percent open rate. The email reminders work with your existing email client. Since businesses control what the appointment reminders say through custom templates, they can ask customers to respond to confirm appointments, allowing the service to be more interactive than other reminder programs. For example, customers can respond “Yes” to text reminders or reply to email confirmations with more detailed information. Appointment Reminder works directly with the business’ existing calendar, CRM, and email software. Appointment Reminder has specific plug-ins built for Google Calendar and Outlook. For businesses that don’t have an online calendar, Appointment Reminder has a free Web Calendar feature that you can use to book and manage appointments. Appointment Reminder does not offer phone call reminders. It is also unclear how or if Appointment Reminder can integrate with your point-of-sale system. Appointment Reminder doesn’t offer appointment rescheduling or online booking. If you’re looking for a software option with these features, Square Appointments would be a better fit. Reviews for Appointment Reminder are very positive. Users like how easy it is to set up and how the software integrates easily with other calendars. Our official Appointment Reminder Review Page reports no negative reviews. Appointment Reminder offers a free 14-day trial. They have very a helpful and responsive customer service that will work with you to find a solution that is best for your business. Visit the Appointment Reminder website to sign up for a free trial. ReminderCall.com is an appointment reminder solution provider that works with your existing scheduling software and spreadsheets, such as Excel and Google. As the name implies, ReminderCall.com offers customized phone call reminders. They also have automated text and email reminders.ReminderCall.com is the best choice for businesses that want phone call reminders because it is the only general industry software on our list to offer this feature. ReminderCall.com charges a monthly fee based on how many text or email reminders you need. With ReminderCall.com, businesses pay for credits that are used to send reminders. The minimum monthly fee is $14.50. Each credit covers one 30-second call or one text message. Email reminders are $25/month for unlimited messages. ReminderCall.com offers customized text, email, and phone call reminders. The automated phone calls and text messages come from your business’ caller ID, so customers know to pick up. Customers can press a number to confirm the appointment or to connect with your business. Overall, ReminderCall.com is a good option for businesses that already have an appointment booking software they are happy with and want to offer phone call reminders. ReminderCall.com is very easy to use. It works with most scheduling software, like Book Fresh, Booker, Schedulicity, spreadsheets, EHRs, EMRs, and custom software. Reminders are sent automatically. Businesses can see all confirmations and replies on a live dashboard. Free technical support is also available. For customers, ReminderCall.com keeps track of opt-in and opt-out preferences for different contact methods. ReminderCall.com offers phone call and text reminders in the standard package. Emails are available for an extra $25/month. ReminderCall lets businesses record their own phone call reminders, use an automated voice, or a combination of both. ReminderCall.com has male and female automated voices available in English, French, and Spanish. ReminderCall.com and Stericycle are the only products on our list that offer phone call reminders. 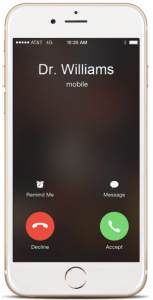 ReminderCall.com lets businesses program phone call reminders so that customers can press a number to confirm the appointment or another number to call the office. Customers can also respond to text confirmations. Their responses are sent to your email address, so businesses can view and respond. ReminderCall.com provides a dashboard so can see the delivery status of confirmations and any responses. ReminderCall.com works with most scheduling software and spreadsheets. 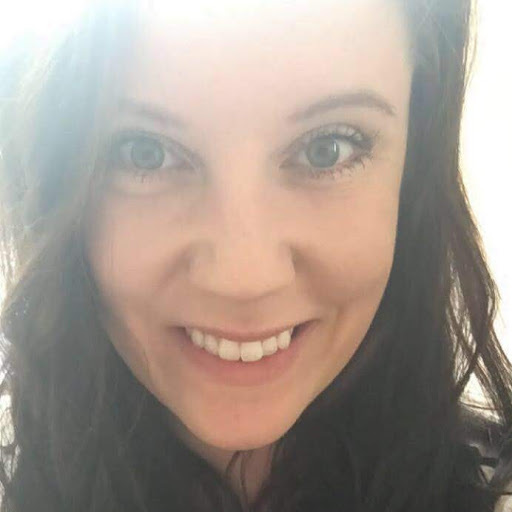 They also offer free custom integrations for any software program that is not already on their list, so businesses can use just about any software with ReminderCall.com. ReminderCall.com calls from your existing caller ID, so customers know to pick up. ReminderCall.com does not support online booking or the ability to reschedule appointments through the software. Customers will need to contact the business directly to change their appointment. If that feature is important for your business, consider Square Appointments. ReminderCall.com has great online reviews. Users like the program’s flexibility and two-way texting capability. The only negative feedback is that the set-up process can be confusing and some users had to rely on customer support to get things going. ReminderCall.com is a great option for businesses that want customizable phone call reminders and two-way texting functionality. Businesses can try ReminderCall.com for one month for just $1. Dedicated customer support is available through phone calls and chat. They are happy to answer any questions and discuss custom solutions. Visit ReminderCall.com to start your trial. 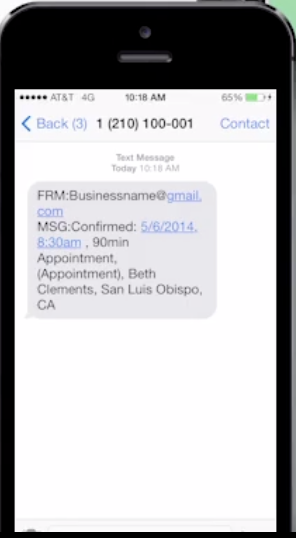 10to8 is an appointment booking software that has built-in email and text reminders. 10to8 integrates with your website and appointment calendar for online booking. This software also integrates with payment processors and has live reporting. 10to8 is a great option for larger businesses because it has options for employee logins with customizable access levels, and can handle multiple employees, calendars, rooms, and locations. 10to8 has tiered pricing based on the number of appointments your business has per month, which ranges between free and $40 per month depending on the number of appointment reminders required. Each tier includes unlimited two-way messaging with customers and unlimited text and email reminders. The free version of 10to8 includes up to 100 appointments per month. 10to8 is primarily an appointment booking software but has built-in appointment reminders and customer communication tools. Even with the free version, 10to8 offers unlimited text and email reminders as well as text and email communications with customers through the 10to8 dashboard. The Small Business plan is a good option for new businesses needing an appointment scheduling software and is similar to Square Appointments. However, 10to8’s free Small Business plan caps out at 100 appointments, whereas Square is unlimited. But, unlike Square, with 10to8 businesses can see whether or not customers have opened or read appointment reminders. The Basic version of 10to8 is identical to the Small Business version, except the Basic version offers custom branding so that businesses can add their logos and have the appointment software match the rest of their website. At under $10/month, the Basic version of 10to8 is very competitively priced. This option is a good fit for the same businesses that would opt for the Small Business version, but want a more personalized solution. The Grow version of 10to8 includes 300 appointments per month and separate logins for three staff members. This tier also includes phone support. However, the support team for 10to8 is located in the United Kingdom. So, if phone support is something you want to utilize, make sure you can call during UK business hours. Otherwise, email support is available. Overall, the Grow tier of 10to8 is a good option for medium-sized businesses that have more than 100 appointments each month and want the ability to provide their users with separate secure logins, which can be beneficial for companies that have more than one location or remote users. At $20/month, 10to8 Grow is still a good value. The Big Business plan includes 600 appointments per month and six staff logins. Just like all the other 10to8 plans, the Bigger Business plan also includes unlimited email and text reminders as well as unlimited two-way messaging with customers. Businesses can see whether or not a customer has opened a message and set up custom reports to view live from the 10to8 dashboard. The Bigger Business plan is a great value and is the reason 10to8 is our top appointment reminder software choice for larger businesses. Square’s similar solution for larger businesses is $90/month. 10to8 Bigger Business is $40/month, can integrate with your website, and includes a payment processor, accommodates up to six employees, and has unlimited customer communications. 10to8 is primarily a calendar system with robust appointment reminder and communication tools built in. If you already have a calendar or appointment booking software that you are happy with, 10to8 is not a good fit for your business, because you will have to switch to their appointment scheduling software. Appointment Reminder or ReminderCall.com would be a better option because they work with your existing scheduling software. Overall, reviews for 10to8 are positive. Reviewers like that 10to8 has over 500 integrations. The most common complaints are that businesses cannot purchase additional appointments if they go over what is allowed in the plan. Also, the customer support team is located in the UK, so phone support is not convenient for some businesses located in the U.S. Visit our 10to8 Review Page to read full reviews. 10to8 has a chat feature on their website to quickly answer any questions. They also have free demos of the business view and customer view of 10to8 so you can test out the software before signing up for a free account. Visit the 10to8 website to learn more. MINDBODY is a business management software for health and wellness service companies that includes automated appointment reminders. MINDBODY has a consumer-facing app with over 35 million global users, which helps customers find, book, and keep track of appointments. Therefore, MINDBODY is the best choice for holistic health and wellness businesses such as spas, salons, and natural medicine providers. Starting at $125, MINDBODY is one of the most expensive solutions on our list of top appointment software. At $395, the Ultimate package is likely the most expensive software out of all the options on our list. MINDBODY is priced higher than other software programs because it includes many features beyond a basic reminder software. MINDBODY Essential has basic appointment reminders, including a notification to the customer once an appointment is booked and an email reminder before the scheduled appointment. 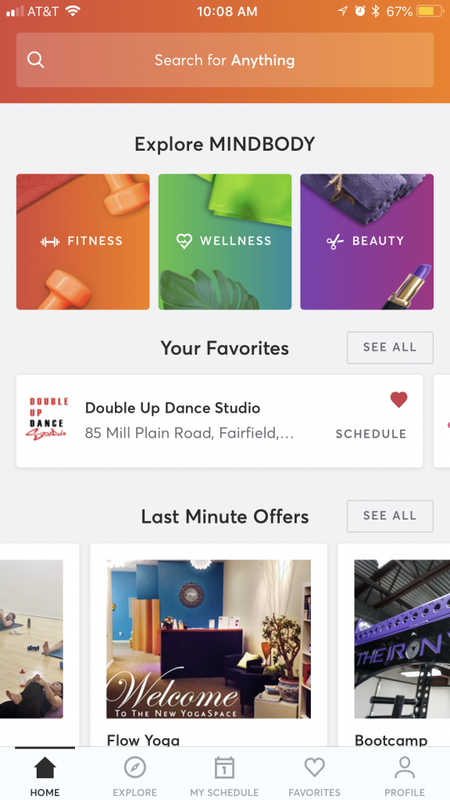 Businesses using MINDBODY are also listed in the consumer app, which includes features like appointments scheduling and point-of-sale. At $125/month, the Essential version does not include two-way texting with customers. MINDBODY Essential is a good option for health and wellness businesses that want basic appointment reminder features and a presence on the MINDBODY app. However, if you are looking for an appointment reminder software that doesn’t have extra bells and whistles like an app or point-of-sale, then Appointment Reminder or ReminderCall.com would be a better fit. MINDBODY Accelerate includes all the features in MINDBODY Essential with the addition of two-way texting and extra reporting features. The mid-range MINDBODY software is even pricier, at $195 per month. MINDBODY Accelerate is a good option for small or mid-sized businesses that want two-way communication and texting with customers. For example, if a provider wants to remind customers to complete a questionnaire or wear specific attire to an appointment, the texting capability would come in handy. MINDBODY Ultimate includes appointment booking and automated notification and email reminders, two-way texting, and a presence on the MINDBODY consumer app. The big difference with MINDBODY Ultimate is that it also includes a custom mobile app for your business. In the custom-branded app, your customers can create accounts and manage their appointments. Though extremely pricey at $395/month, MINDBODY Ultimate is a good choice for health and wellness businesses that want automated appointment reminders but also want a dedicated app for their business where customers can have control over booking appointments and receive custom notifications from the app. MINDBODY has a lot of features above and beyond just appointment reminders. It’s a whole business management system with appointment booking and marketing solutions. If you do not need or want those features, choose a software that is specified to just appointment reminders, like Appointment Reminder or ReminderCall.com. Likewise, if your business does not fall under the fitness, wellness, or beauty categories, you should not choose MINDBODY. Overall, MINDBODY is built for a very specific kind of business. If you fall under the holistic health and wellness category, MINDBODY has a sprawling number of features. However, some businesses have complained of a steep learning curve because the software is complex. It is also very expensive. The consumer-facing MINDBODY app can be downloaded from the Apple or Android app store. The business-facing app does not offer a free trial, but you can schedule a guided demonstration. If you are a health or wellness business looking for appointment reminder software that is built into a larger business management solution, MINDBODY is the best choice for you because customers can book directly through the popular MINDBODY app. Stericycle, formerly NotifyMD, is a communications solutions company that offers HIPAA-compliant automated appointment reminders and answering services. Stericycle offers phone call, text, and email reminders. Stericycle is the best appointment reminder software for medical practices because Stericycle follows HIPAA guidelines, integrates directly with your EHR, and provides an answering service for your office. Stericycle solutions are quote-based, so there is no set pricing available. We estimate that the monthly costs start around $200 for a basic answering and messaging service with automated appointment reminders. Stericycle and MINDBODY are the most expensive appointment reminder software systems on our list and the only software that are designed for specific industries. Stericycle offers customizable automated text, email, and phone reminders. Their automated messaging service can also be used to send follow-up reminders and billing reminders. Two-way messaging means that customers can confirm appointments through text or ask questions before their appointment. Stericycle also has answering services that can help patients book appointments or answer basic questions. Stericycle automatically syncs with your medical practice’s appointment software to send out reminders. Patients can respond to reminders with questions and confirm appointments with two-way messaging. All of these notes and confirmations can be viewed in the Stericycle dashboard. Overall, Stericycle is easy to use for businesses. For patients, Stericycle is easy to use because they can respond in the method that is most convenient for them. Stericycle offers phone call, email, and text notifications. The content of each notification can be customized based on the needs of your business. Businesses can also pick custom reminder schedules. Stericycle and ReminderCall.com are the only two appointment reminder software systems on our list that offer customized phone call reminders. Patients can respond to any of the text, email, or phone reminders to confirm appointments. If patients send a text or email response, it will appear in the Stericycle dashboard. Stericycle also offers an automated answering service, so patients can call the office back to confirm or reschedule appointments using an automated system. Stericycle integrates with most popular Electronic Health Record systems (EHRs), including GE Healthcare, NextGen, AllScripts, and CureMD. Like most of the other appointments reminder software on our list, Stericycle pulls appointments information from your current scheduling system to send reminders. Stericycle is very pricey and is meant for medical practices with large patient volumes. If you run a smaller practice, a non-medical business, or do not need extra features like an automated answering service, a less expensive reminder software such as ReminderCall.com or Appointment Reminder would be a better fit. Stericycle, formerly NotifyMD, does not have many online reviews, and it is therefore hard to know what other users think about the product. We recommend that you contact the company directly with any specific questions or concerns. Stericycle offers quote-based pricing and will work with you to find the package that best fits the needs of your medical practice. Visit the Stericycle website to learn more about all the different solutions available. 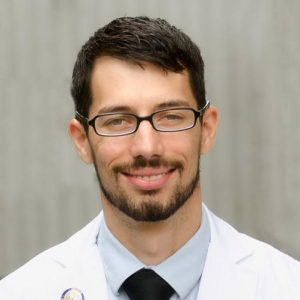 According to the Journal of Primary Care and Community Health, the two most common reasons for patients missing primary care doctor appointments are forgetting (35.5 percent) and miscommunication (31.5 percent). Reminder software is proven to help reduce missed appointments and no-shows, meaning your business will see an immediate return on investment. Effective appointment reminders also help provide your customers with great service. Our top choice for appointment reminder software is Square Appointments. The basic version is free, offers text and email reminders, and directly integrates with Square’s free appointment booking software and point-of-sale system. Visit Square’s website to sign up today.